Our local SPCA and Native Animal Rescue organizations along with volunteers and 11 area cat enclosure "catio" owners - including our location - band together to have Santa Cruz County's first annual Catio Tour. 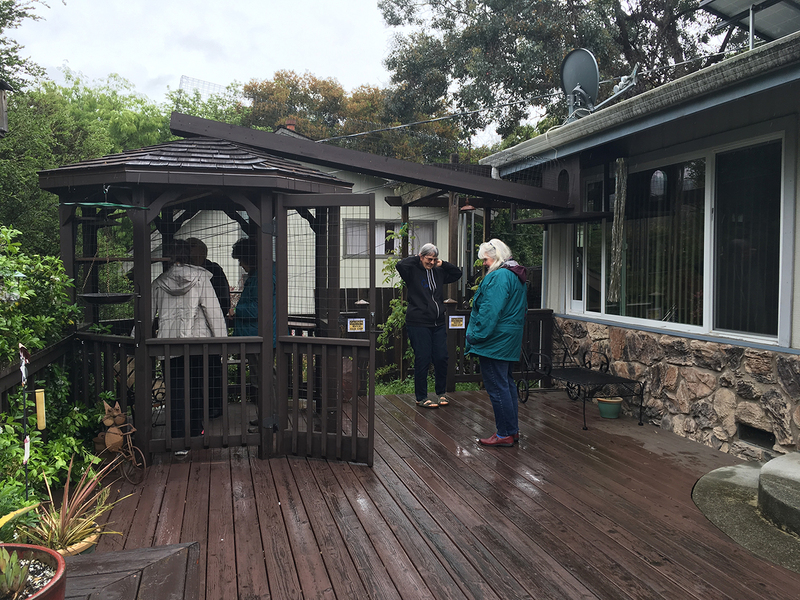 We opened our catio creations to the public in hopes of inspiring other cat owners to consider building protective enclosures for their cats. Catios protect cats from predators, fights, disease and many other dangers, not to mention potentially lowering one's veterinary bills. Catios also protect local birds and small native critters from predation from house cats which can seriously impact native animal populations. Curious cat owners check out our "catzebo" and "catwalk"
Curious cat owners tour our "catzebo" and "catwalk"Our visitors had many questions about costs, construction, acclimating cats with catios. As I point out here at CatCluez, you can spend as little or as much as you want. The primary goal of a catio is to provide a safe, enriching environment that gives your cat a taste of the outdoors. This works especially well with "indoor" cats. Even previously free roaming cats can adjust to the catio lifestyle. 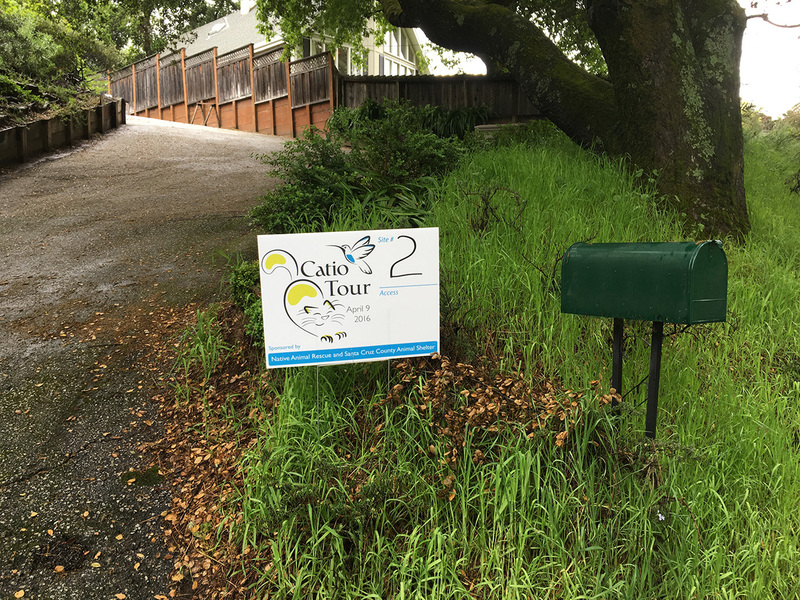 Thanks to these local agencies, local businesses and all the volunteers, the first annual Santa Cruz County Catio Tour was a great success, despite the weather.